Humanitarian cardiac surgeon Dr. Emily A. Farkas is committed to giving back. Not only is she one of the 3% of board-certified cardiac surgeons who are women, but she is a role model for a younger set of surgeons who chose to give back by serving as a global humanitarian volunteer. Dr. Farkas punctuates her life every six to eight weeks as a cardiac surgeon at the ThedaCare Heart Institute in Appleton, WI, with travel overseas to provide free heart surgery to the underserved. Dr. Farkas graduated from Yale University School of Medicine as the first woman accepted into their cardiothoracic training program. Then, while serving on the faculty at Saint Louis University in St. Louis, MO, she volunteered within the community and internationally. To honor her, a Mayoral Proclamation designated August 3rd as “Dr. Emily Farkas Day” in St. Louis. After five years in St. Louis, Dr. Farkas moved to Appleton, WI, so that she could devote more of her time to the humanitarian missions. As an adult and pediatric cardiac surgeon and mission director for CardioStart International, Dr. Farkas has participated in missions to Kenya, Tanzania, Uganda, Sri Lanka, Peru, and Mongolia. Most recently she headed up a humanitarian trip to Nepal in June of 2017. 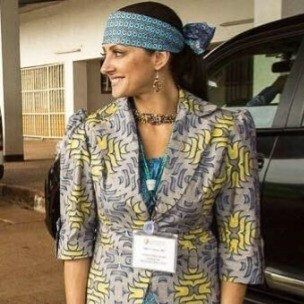 Her international 13-member team that accompanied her to Nepal consisted of two cardiac surgeons, a cardiologist, two perfusionists, one of whom was from Nigeria, a biomedical engineer from Ghana, four nurses, a cardiac sonographer, a database coordinator and mission coordinator. Their goal was twofold: to train and educate local Nepalese surgeons in every step of a surgical procedure and secondly, to offer patients clinical care. Surgery was performed on four patients to correct defective aortic and mitral valves and, in one patient, to place coronary artery bypass grafts to treat coronary artery disease. Numerous other patients were also evaluated and treated in preparation for future interventions. When Dr. Farkas was on a Cardiostart mission in Nigeria in 2013, she received an unusual award. She was named a tribal “Chief” by the Nigerian government after she performed the first heart surgery in that country in over 10 years. Accompanying the award, she was given the name “Akanko,” which translates to “sharp and intelligent or gifted hands.” Now, as Dr. Farkas continues to bridge cultures through her intelligence, gifted hands and generosity of spirit, she is a role model for others who want to give back and become global humanitarian volunteers.